THE Government has prioritised the provision of housing under the Transitional Stabilisation Programme (TSP) quick-win projects with several housing projects already underway across the country. The housing projects are meant to attend to the housing back log that has been a nightmare to local authorities countrywide. Housing has been placed under priority projects which contribute to long term economic growth and also improve the social well-being of citizens. “All outstanding institutional accommodation projects that had stalled due to the economic challenges of the past decade will also be completed. Through the Infrastructure Development Bank of Zimbabwe (IDBZ), UDCORP and NSSA, Government will mobilise funding from the market towards the servicing of stands and construction of houses countrywide,” said the TSP document prepared by the Ministry of Finance and Economic Development. At least 2 500 stands have been earmarked for Bulawayo including 2 135 high density stands (Empulamanga West) bankrolled by IDBZ, 71 stands at Hopeville funded by NSSA, over 300 houses and flats at Mvutshwa supported by NSSA and an additional 50 stands to be funded by UDCRCORP. Some of the projects are underway. The IDBZ $12 million funded National University of Science and Technology (Nust) student hostels next to Selbourne Park has already commenced with developers clearing the land. The TSP document says the financial sector, particularly building societies are also implementing various housing development programmes through provision of housing stands in most urban settlements. Some of the projects also underway are the IDBZ funded projects that include Sumben 370 low density stands in Mt Pleasant, Harare. In Kariba 1 560 high, medium and low density stands have been budgeted for, Clipsham II (Masvingo) will have 600 medium and low density stands, Gwanda 1 000 high density stands, Chiredzi 1 800 mixed density stands, Nemamwa (Masvingo) 222 medium density stands, Makonde (Mash West) 197 mixed density stands and Dzivarasekwa phase 2 (Harare) will have 737 high density stands. Also to be built are Chinhoyi, Gwanda and Marondera provincial magistrates’ courts at a cost of US$23,1 million. 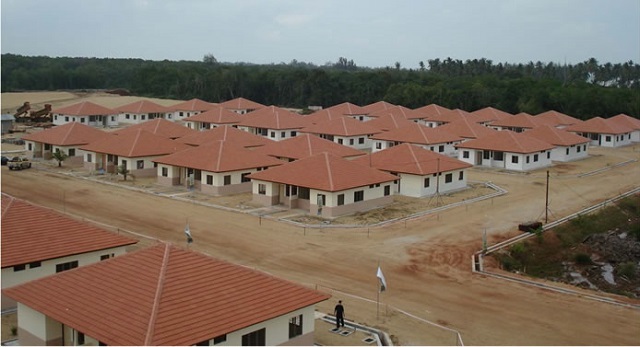 Plans are also underway to build housing for civil servants and Government offices at various centres across the country. Construction of Lupane Provincial Hospital, Mbuya Maswa Clinic in Zaka, Chiromo Clinic in Gokwe and rehabilitation and upgrading works for the four central hospitals are also being prioritised. To cut down on the housing list back log, the Bulawayo City Council has been working to avail stands at Luveve 5, Magwegwe North, Magwegwe West, Emganwini, Mahatshula East and Emhlangeni suburbs, among others. In July, 866 stands were commissioned at Luveve 5 suburb. The Government’s Transitional Stabilisation Programme acknowledges policy reform initiatives of the New Dispensation which is led by President Mnangagwa, to stimulate domestic production, exporting, rebuilding and transforming the economy to an Upper Middle Income status by 2030. The Transitional Stabilisation Programme focuses, among others, stabilising the macro-economy, and the financial sector, introducing necessary policy, and institutional reforms to transform to a private sector led economy, addressing infrastructure gaps and launching quick-wins to stimulate growth.